Found at the award winning Parkers Arms is this Local Estate Shot Bowland Game Pie. Succulent and juicy red meat is combined with butter sautéed rabbit and high quality local pork mince to form the filling of this traditional pie. 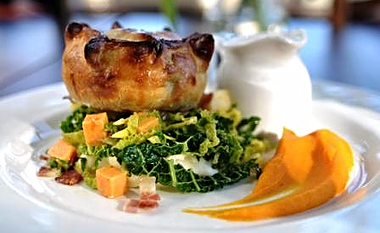 Served in a golden crusty pastry this dish is one of the Parkers Arms most memorable. 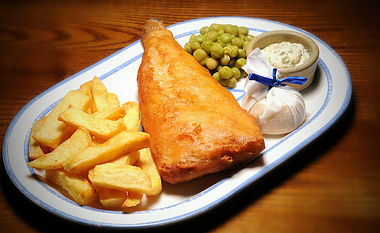 ‘Chippy Tea Friday’ has become a real speciality in the Ribble Valley that can be found at The Three Fishes. Every Friday between 2pm and 7pm you can enjoy the traditional chippy tea that’s so popular across Lancashire. It is all about tradition as Fish, Chips and Mushy Peas come with a choice of gravy or curry sauce. Without a doubt the region’s most famous dish can be found in the high quality establishments across the Ribble Valley. Traditional lamb stew is covered with locally grown sliced potatoes and baked in the ovens of the pubs, inns and restaurants each and every day. If you want the most traditional Lancashire experience possible make sure you indulge your taste buds with this classic. Enjoying Ice Cream in the Ribble Valley does not get any more traditional and enjoyable then from Mrs Dowsons farm. 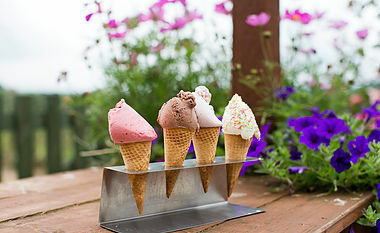 A Fantastic array of flavours is available, of the ice cream that is made on the farm and from their own cow herd. This ice cream is famous around the region and beyond and you will find tasting opportunities across the region. 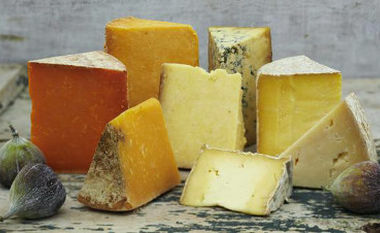 Leagrams Dairy has been producing these traditional Lancashire cheeses in the Ribble Valley for centuries. The wide selection of cheeses available includes the traditional ones like Organic Mature Lancashire and Organic Double Gloucester through to the more modern Organic Lancashire with Pineapple. The award winning Millstone at Mellor offer you this traditional seasonal dish that will guarantees you the experience of enjoying some of the best local lamb cooked the best possible way. 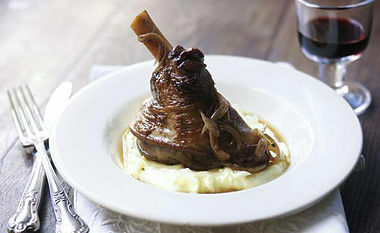 The traditionally cooked braised lamb shank is accompanied by the gorgeous spring onion champ. 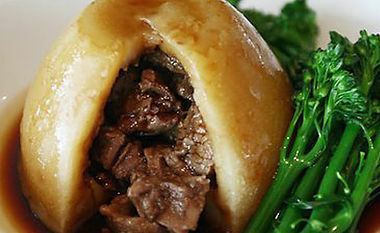 A true Lancashire favourite, dishes do not come much more traditional then a steak and kidney pudding. Diced steak and lambs kidney covered in rich gravy and served in a suet pastry casing just like it should be. 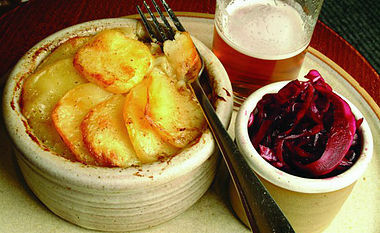 This hearty and warming dish can be found in the pubs and inns across the Ribble Valley. 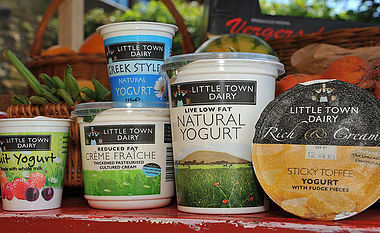 The Little Town Dairy has built up this scrumptious range of yogurts and other organic dairy products to delight you. Choose between the luxurious thick and creamy fruit flavoured yogurts or the crème fraiche options. If you are looking for the healthy options, a range of bio and light products are available as well as diabetic friendly ranges.